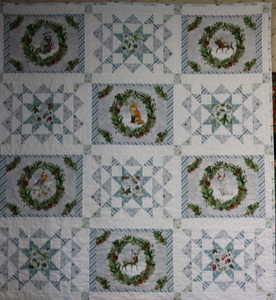 This beautiful winter quilt is made with our newest line of Wilmington Fabrics. The quilt measures 54″x 58″ when completed. This is a current 4 week class. Supplies limited. This pattern is for a confident beginner.